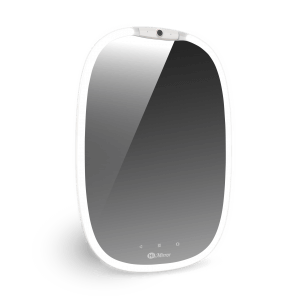 Previous CES Innovation Award Honoree (2017) HiMirror are expanding their range of smart well-being products with two new devices announced at this year’s CES. 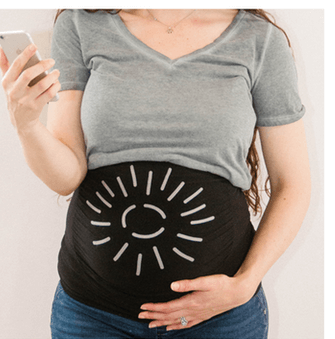 The handheld HiSkin rapidly analyses skin condition and the Smart Body Scale measures a range of body metrics from weight (mass) and BMI, through water level and muscle-to-fat ratios. 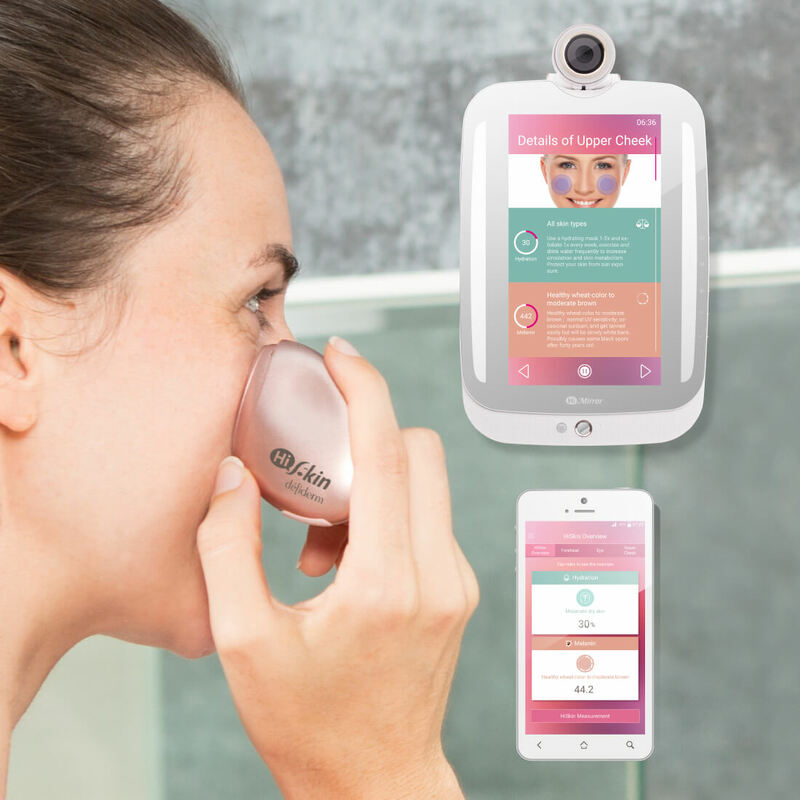 The HiSkin is a pocket size hand-held device which connects to the HiMirror (and smartphone) to provide rapid analysis of skin’s condition. By simply holding the HiSkin on the face, the unit analyses conditions that can’t be seen with the naked eye, such as hydration and melanin. 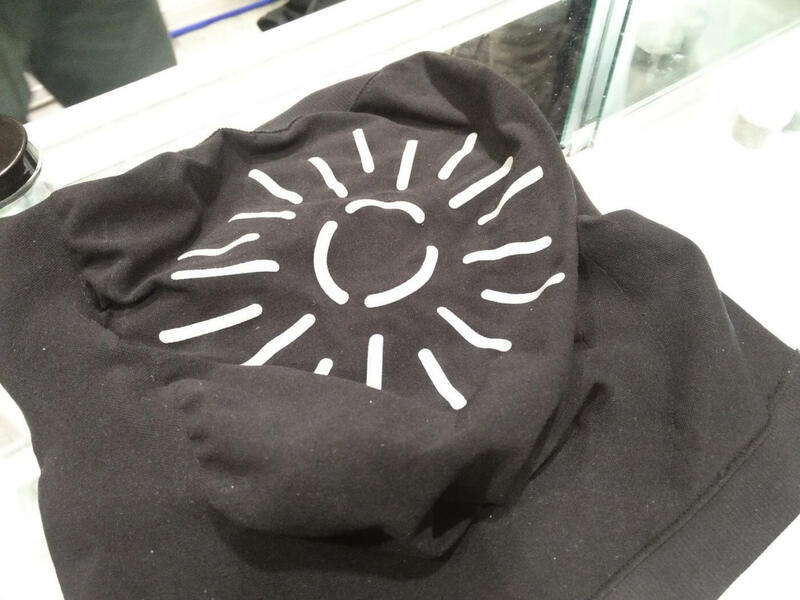 For melanin, HiSkin allows for continuous daily measurements to help observe changes in skin colour and evaluate increases in hyperpigmentation. Meanwhile, for hydration, it monitors changes in the skins moisture and evaluates the effectiveness of skincare habit, i.e. is the moisturiser any good? Through HiSkin’s analysis, users can understand how seemingly small changes in their diet and lifestyle impact their skin, helping them better protect and maintain good complexion. The device achieves this by combining electronic and bio-medical engineering to non-invasively analyse the facial skin’s condition in five parts: forehead, eyes, upper cheek, lower cheek and chin. 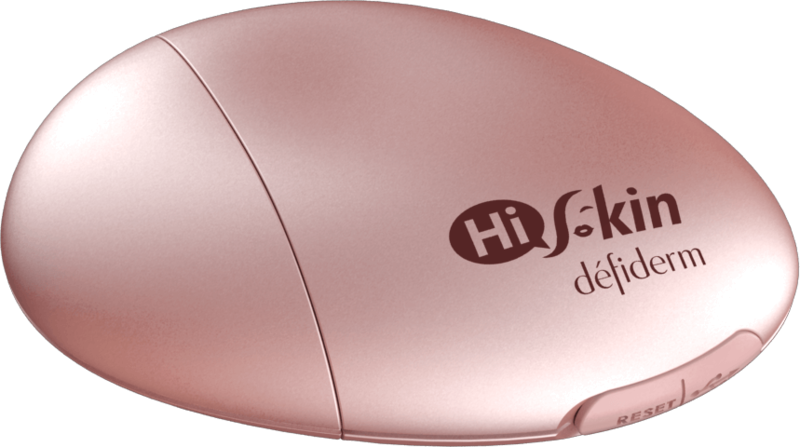 The HiSkin also detects and analyses dark circles and acne scars. Interestingly, it’s suggested that HiSkin can also be used while shopping. Users can try desired skincare products before they buy them by using HiSkin to help them know which products or foundation will work best for their skin. The HiSkin communicates via Bluetooth and works with HiMirror and the user’s smartphone via the HiSkin app, which is available for both Android and iOS. HiSkin is available online from HiMirror for £49. The Smart Body Scale helps users stay in shape by measuring weight, body mass index, basal metabolic rate, total body water, skeletal muscle and bone mass, as well as muscle to fat ratios. If available, all the data is uploaded to user’s HiMirror in real-time via Bluetooth, or else the data is sent to the HiFit app on the user’s smartphone (available for both Android and iOS shortly). Using the data gathered, the Smart Body Scale can propose a variety of body improvement strategies and fitness videos on the HiMirror for attaining a healthier, more-toned body, all within the comfort of your own home. For use outside of the bathroom, the HiMirror Scale has a neutral coloured plush cover which lets it blends into any decor. 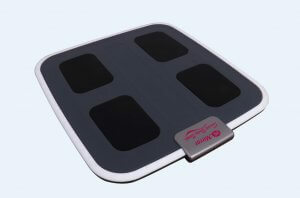 The Scale is a certified IEC standard medical device and is available online from HiMirror for £111. 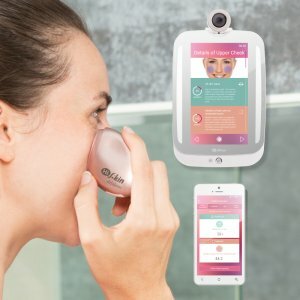 HiMirror‘s range of smart mirrors aim to be “your at-home beauty and health consultant”, and use high resolution digital cameras to record and assess skin condition including wrinkles, fine lines, clarity, dark circles, dark spots, red spots and pores to both identify problem areas and track improvement. Simply, the smart mirror takes a picture of the face, analyses it and recommends personal skincare routines to help improve skin quality. Combined with a database of over 10,000 skincare products, the HiMirror measures and tracks product performance through changes to skin condition. With objective data, it’s now possible to work out which skincare products and routines actually make a difference to the skin, and those that don’t. 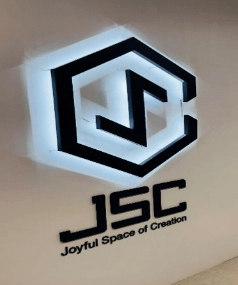 Using “big data”, the system has been developed in conjunction with professional consultants in the fields of dermatology, cosmetics, skincare and medical beauty, and HiMirror have won awards at CES in both 2017 and 2018. 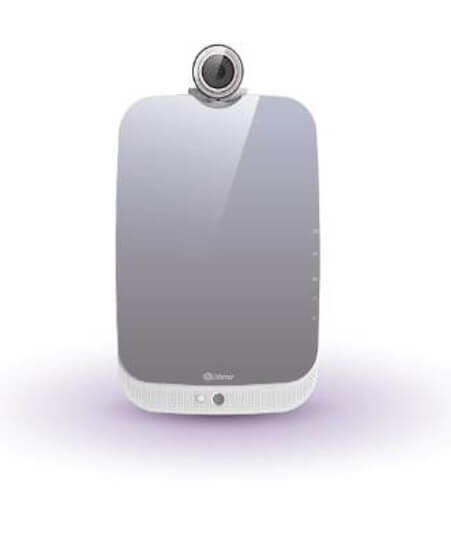 The device is a mirror with a flat screen display behind it, which lets the HiMirror interact with the user to show skincare information and videos. 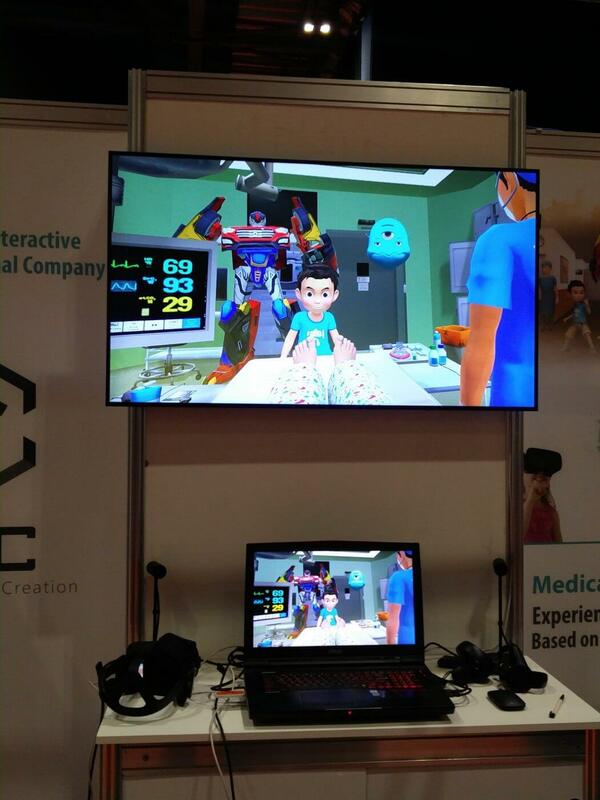 The HiMirror responds to both voice and gestures, and there’s a handheld remote control too. No self-respecting smart mirror would be without a digital assistant and Alexa is built-in. Announced at IFA today, HiMirror has a couple of new models, including one smaller version and two aimed at the professional beautician. The HiMirror Mini Premium is a compact model with a 13″ x 9″ touch screen for easy navigation. 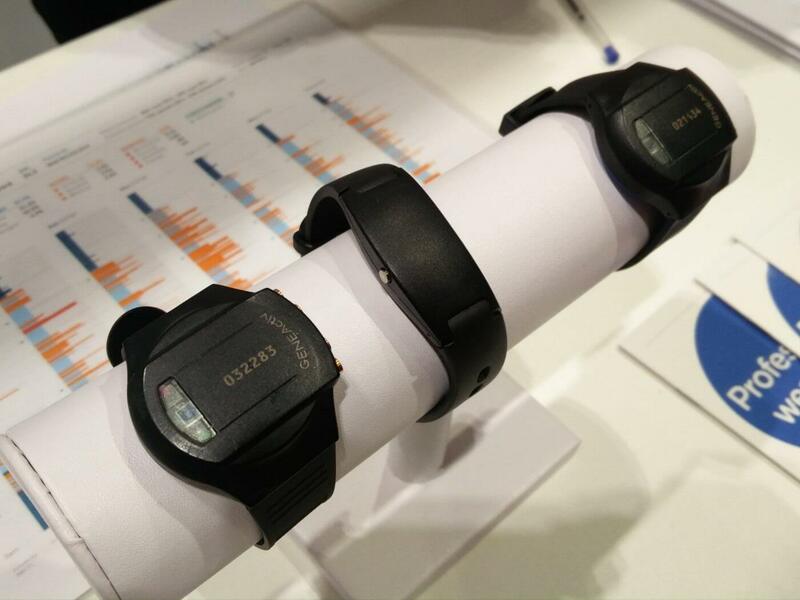 As with other HiMirrors, it can analyse skin and offer personalised skincare recommendations. Other features includes Skin Safe which spots allergens in health products and it also provides help with applying makeup for different light levels, such as dimly lit restaurants or brightly lit offices. HiMirror Mini Premium will be available to pre-order from the HiMirror website from 31st August 2018, with products shipping in November. UK price is GB£239. On the commercial side the Enterprise Lite and Enterprise Pro will be joining the HiMirror line-up shortly. These models are aimed at beauty professionals and beauty salons as these mirrors can have unlimited accounts or profiles. With one profile for each client, historical data and photos can be stored individually to track progress over time. I particularly like the HiMirror Mini Premium and I can see it being a popular choice in the smaller size. Perfect for dressing tables…. 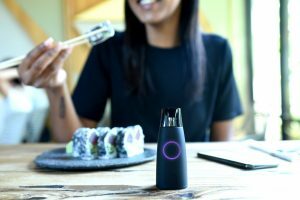 Lumen, a digital health and wellness company reinventing weight management and performance optimization through science and technology, quickly hit their $50,000 funding goal on Indidgogo in just three hours. Lumen, the pocket-sized device that hacks metabolism in real-time, has helped beta users lose an average of 6.8 pounds in 30 days, and has quickly gained popularity amongst consumers since the July 17, 2018, campaign launch. Simply by taking a single breath, Lumen’s powerful AI engine analyzes metabolism to determine whether users are burning carbs or fat for energy and provides immediate nutritional guidance and real-time insights based on that physiological data. Lumen then creates a daily personalized nutrition plan to help users lose weight, optimize workouts, and reach their health and fitness goals. Lumen is available for pre-order at the “Early-Bird” pledge level price of $199. That’s 33% off of the retail price of $299. The Indiegogo campaign will run through August 25, 2018. The British National Health Service (NHS) is often thought of as a single organisation but it’s more of a Hydra-esque organism made of many semi-autonomous agencies each with their area of expertise and sources of funding. Consequently, it can be hard for entrepreneurs and startups to engage with the NHS – where do you start? I chat with Rose from Digital Health London, a programme aiming to speed up the development and scaling of digital innovations across health and care, and pioneer their adoption by the NHS…matching innovators with NHS need, and supporting them to navigate the UK health environment. 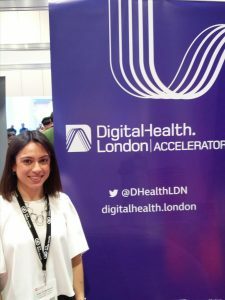 The Digital Health London accelerator programme works with small-to-medium companies to help these firms access NHS providers through an NHS Navigator. The Navigator is someone who has good understanding of how the NHS works and is funded, and can guide the company to make the right contacts. The programme also provides guidance on how to work within healthcare, such as running clinic trials, patient safety and handling confidential information. Hopefully these startups can avoid some of the pitfalls seen recently with some of the larger social media companies!